In honor of Canada's birthday, July 1st, get inspired to get outdoors and enjoy the beauty of Canada's natural spaces with these photos and travel tips. Having traveled to film in Canada a few times for our Emmy-winning series Equitrekking, I've experienced the beauty of Canada's nature in the summer, during the changing leaves of autumn and also in powdery snow. 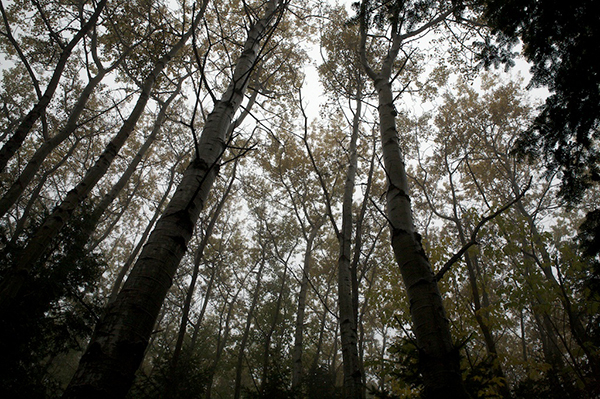 Below are some favorite photos from my travels to inspire nature, travel and horse lovers to get outdoors in Canada. Happy Canada Day! This park is a pretty little gem located via Route 132 between the municipalities of Saint-Fabien, in the west, and Bic, in the east. Active travelers may want to hike here, winding through peaceful wooded trails and along scenic capes, bays and coves along the shore to view seabirds and seals. There are approximately 16 miles of trails and 181 campsites in Parc National du Bic for year-round camping, including cozy yurts for winter. The small village of St. Fabien lies near Bic National Park. 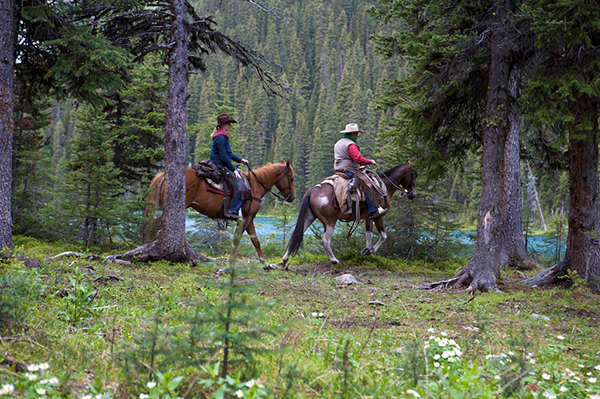 This is a beautiful area to take in the changing leaves and saddle up. I rode horses with Ranch St-Fabien, trekking through their working farm, to a high point to take in views of the village and along the shores of the St. Lawrence River at sunset. Villages and towns throughout this province are home to beautiful well-preserved churches, like the one in Saint Fabien, making for great photo opportunities. Dense forests, dramatic mountain peaks, rushing rivers and cool alpine meadows are just some of the stunning scenery you'll find in Canada's oldest national park. 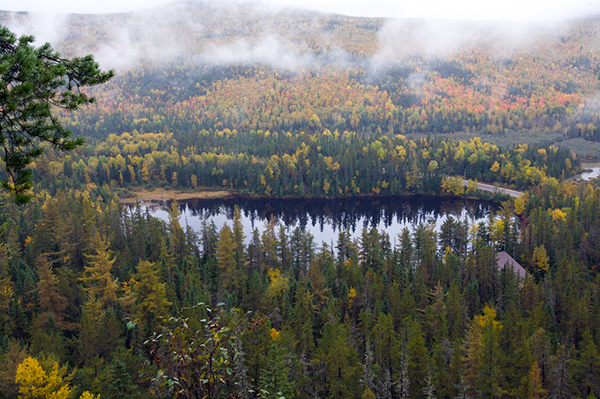 Celebrate conservation and truly getting away from it all by hiking or horseback riding into this vast natural area, which spans over 2,500 square miles. 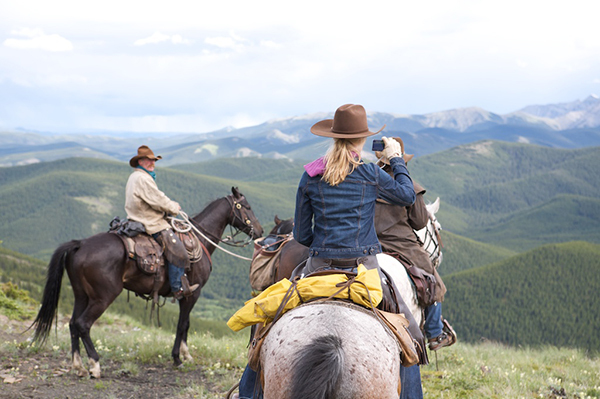 Below are photos from our journey into Banff, where we filmed for Equitrekking with Holiday on Horseback, taking a pack trip to Mystic Lake and enjoying the peaceful scenery of this remote part of Canadian Rockies. The tall jagged peaks of Banff sometimes made me feel quite small, but put into perspective the power and beauty of these dramatic landscapes. 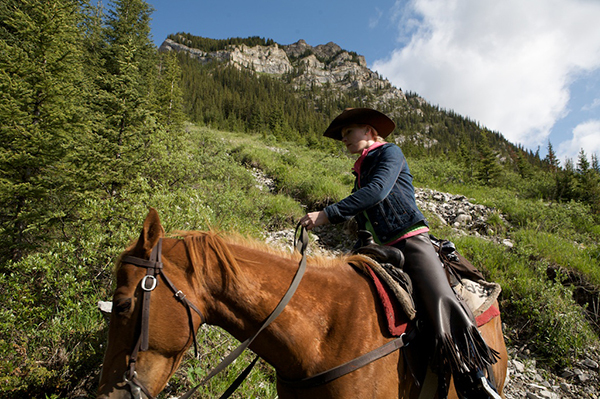 If you truly want to get away from it all, ride high in Kananskis in the foothills of the Canadian Rockies, where you'll probably only run into wild horses–– not humans. 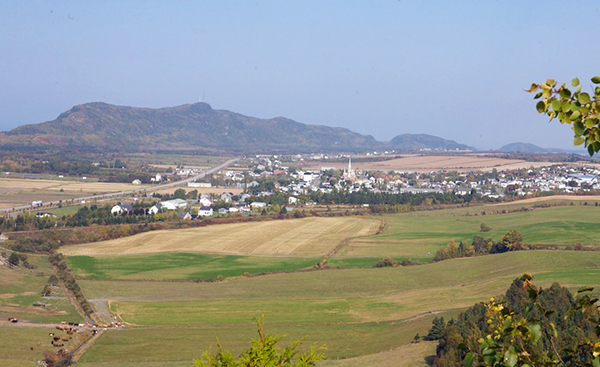 The Sheep River Valley lies about an hour and a half Southeast of Calgary. We traveled over 20 miles into the backcountry of the Rocky Mountains through drastically changing weather and steep mountain terrain with Anchor D Outfitting. If you want to discover this truly amazing scenery, you’ll want to ride. Keep a lookout for wildlife, including elk, deer and bighorn sheep. Near the village of Saint Siméon in Charlevoix, Quebec, a great way to take in the views and actively enjoy nature is to go rock climbing. I took a guided tour with Adventure Park la Palissade using a system called via ferrata, which in Italian means Iron Way. This method of climbing originated in Italy during the First World War. It uses a system of fixed cables, allowing climbers to travel longer mountain routes more easily. 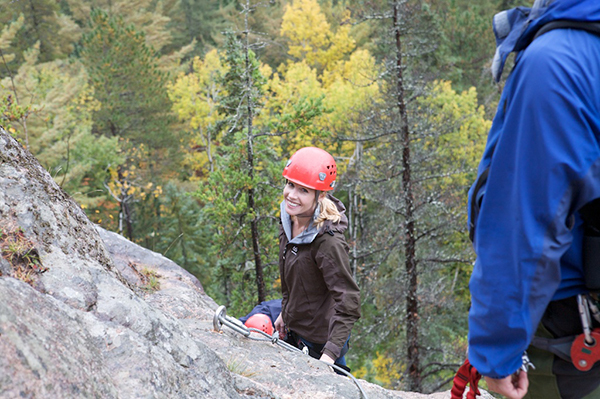 If you have little or no experience rock climbing, like me, this is a fun way to cover some ground and perhaps feel more secure while you’re climbing high to take in the views. Another fun activity in Charlevoix is horseback riding. Ranch du Fjord, located in Baie-Sainte-Catherine a few hours from Quebec City and Montreal along Charlevoix's coast, offers guided trail rides on Haflinger horses, a breed that is native to Austria and well suited for the conditions in Charlevoix. 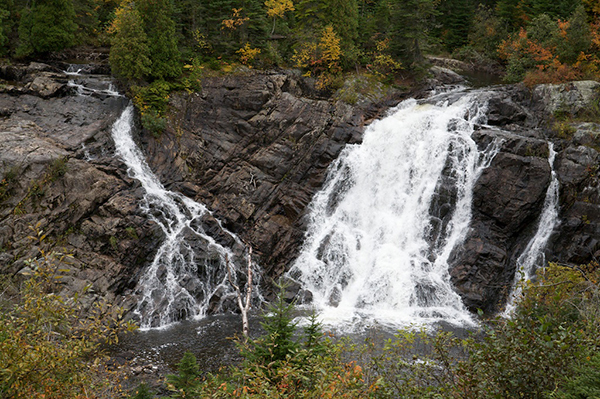 The waterfall ride takes about one hour and is a good introduction to the area's natural beauty. 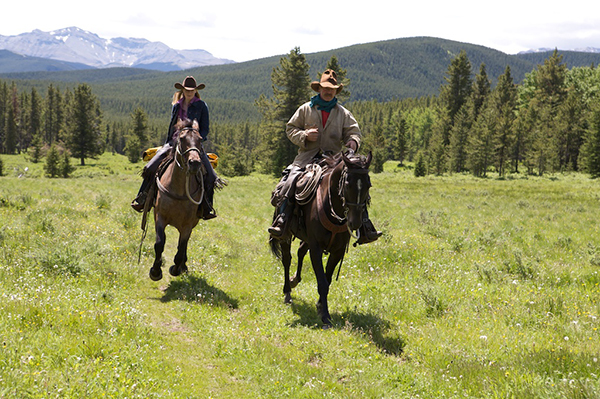 Learn more about nature vacations in Canada, including pack trips, lodge trips and ranches in British Columbia and Alberta in the Equitrekking Vacation Guide and check out some of the world's best ranches at Top20Ranches.com.